The application of 3D printing in additive manufacturing and rapid prototyping is about to double in another four years. 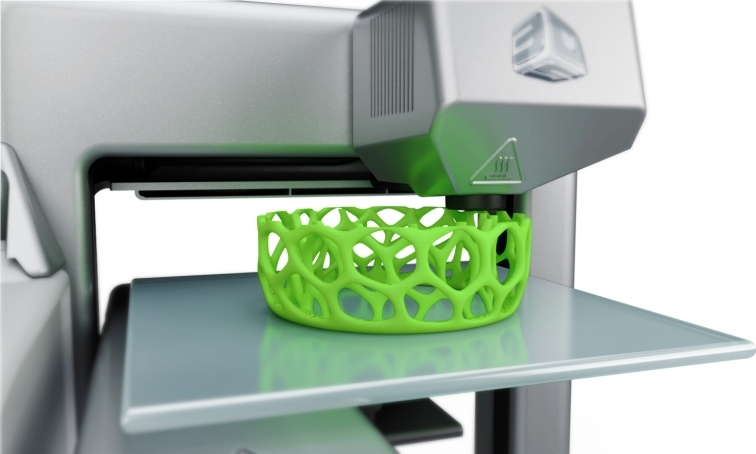 More organizations are realizing 3D printing’s impact on optimizing production cost and time. This reflects with 80 percent of globally leading manufacturing companies increasing their 3D printing budgets by 60 percent in the last one year. 3D printing technology has come much beyond additive manufacturing and rapid prototyping, with several manufacturers in automotive and engineering using it for manufacturing high-performance parts at reduced costs. The expanding capabilities of the 3D printing technology make it for broader production applications in more industries and markets. Markets such as healthcare, food, and fashion are also getting to implement additive manufacturing technology in their production lifecycles - from design to final quality assurance. In a highly competitive market landscape, futuristic marketers will be looking for effective ways to bring a product to the market, within reduced cost and time. A prototype is inevitable for a product design in order to help manufacturers to see whether it meets the consumer expectations. While the traditional prototyping weeks and months depending on the product and the method used, 3D printer enables rapid prototyping takes less than two days to create the product. Rapid prototyping also allows manufacturers to build product components with small internal dents or complex geometries. This makes it possible to see real products in the initial stage of the process so that they can see whether any change should be made to the design. 3D printer enabled rapid prototyping can be impact manufacturing units with improved communication. Quicker and cost-effective prototyping will result in reduced development time and avoids costly mistakes that may occur during product manufacturing. Rapid prototyping is instrumental in reducing changes in product engineering and extending product lifetime by including essential features and avoiding excess features early in the design. Rapid prototyping provided by 3D printing service in Mumbai emphasizes manufacturerschallenges with increasing product variants and complexity and decreasing product lifetime and delivery time. Rapid prototyping is proven to reduce a product’s development time by enabling manufacturers and stakeholders to make early corrections. The engineering, manufacturing, marketing and purchasing teams of the organizations can make a closer look on the 3D prototype at the earliest stage in the design process so that any corrections or changes can be made before the product is approved for manufacturing. Rapid prototyping, which was first been introduced in 1987, has by now emerged as an inevitable tool/process in product manufacturing. 3D printing is evolved more than an effective design and manufacturing methodology to be a potential source for providing tools to accelerate and optimize the product manufacturing process. 3D enabled rapid prototyping is a revolutionary tool for allowing manufacturers and stakeholders to learn and create better products quickly and thus reduce time to make a product available in the market.